The feet may be the most abused part of our body, but they are also the most neglected. Most people who suffer from foot pain are diagnosed with a variety of foot ailments like athlete’s foot, foot odor, nail fungus, plantar fasciitis or even circulation issues. Even with sore feet, you still have to get up and do even the most basic tasks around the household. The iconic Birkenstock Boston is one of the most recommended footwear for those who are suffering foot pain. It features a custom footbed and a synthetic sole that give relief to the arch as you walk, run, hike or do other things. The adjustable interior straps allow you to tighten or loosen the shoes to conform to your feet’s size for a more snug and comfortable wearing. It looks pretty fashionable, to boot. Sometimes your feet just need a happy ending. These slides are good for most foot issues, but they are the most ideal for foot circulation problems. The footbed consists of massaging pods or nubs to give your feet instant massage as you wear these sandals. The adjustable straps allow for a more comfy, snug fit. 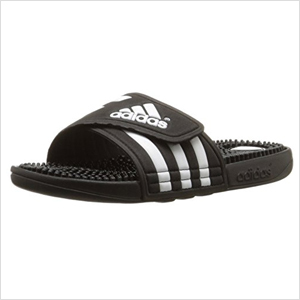 When it comes to quality slides and recovery footwear, most people trust Adidas. 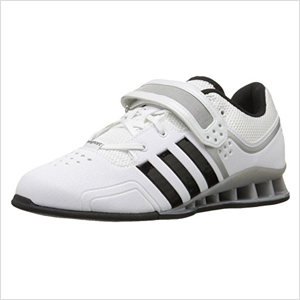 As the name suggests, these shoes are specifically designed for weightlifters. But you don’t have to be one to enjoy the benefits these shoes can provide. Or you don’t even have to be a regular to the gym. The Adidas Adipower Weightlifting is the leading shoe model that features a polyurethane-coated leather and a heel made of plastic to prevent foot pain and injury when subjected to overwhelming amounts of pressure. SPIRA’s most recent line of footwear features spring-loaded shoes and superior heel cushioning so that your feet won’t hurt even as you walk or run. The upper features an attractive classic leather silhouette. It provides a great and snug fit for those who experience foot problems. The OOFOS Unisex OOcloog Clog has a simple silhouette but it provides a considerable comfort for those who are suffering pained or injured feet. Its own “OOFoam” technology absorbs an incredible 37% more impact than most shoes on the market, which greatly reduces the tension and stress to your feet. For sufferers of plantar fasciitis, in particular, these shoes should be great news to them. Dr. 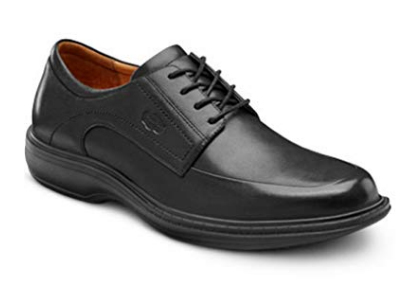 Comfort Men’s Leader Therapeutic Dress Shoe Extra Depth Leather Velcro is designed for those who are always on the go but don’t have much time to lace up. These monk’s strap shoe is lightweight but is made of quality materials, giving your feet the ultimate protection you need. It is easy to slip on and off and just fasten it with a strap. These shoes come with a classic polished-leather look, but it is fully breathable to wick away sweat and moisture which keeps your feet cool, dry and free from unpleasant odors. It has a leather lining inside to keep your feet remain dry, comfy, and free from friction and pain. Spenco Men’s Supreme Slipper might just be the best closed indoor footwear just yet! From appearances alone, these shoes are guaranteed to provide the ultimate comfort and relief to your sore feet. It is a combination of a slip-on shoe and a slipper. It has durable outsoles that absorb impact, and an upper that is undeniably lightweight, thanks to the combination of materials that include leather and faux fur. Perfect for people who suffer from heel pain and plantar fasciitis. ASICS is one of the leading brands when it comes to shoes for foot pain. One of their recent models, the ASICS Gel-Kayano 24, is a high-performing shoe with improved features such as a wider toe box, the Dynamic Duomax cushioning, the Ortholite sockliner and of course, the gel in the heel that has been ASICS’ proud product of years of innovation. This is the shoe that may put a considerable dent to your pocket, but it’s going to be worth the price since it is reliable and is guaranteed to prevent foot pain and injury. If you want comfortable footwear but don’t want to wear flip-flops or sandals, then the Olukai Nohea Moku should be a good alternative. From the looks of it, it is designed to be a breathable shoe that is guaranteed to be flexible and provide good ventilation for your feet. It also looks good to complete your smart casual get-up. Arcopedico Francesca Oxford is also a good choice for anyone suffering from most sorts of foot pain. The heel measures about an inch which makes it comfortably low. Its molded bottom and twin-arch support provide additional comfort and pain-free gait. Its removable insole, made of foam and synthetic lining, adds underfoot comfort. Its lace-up comfort system lets you lace your shoes in a way that it won’t produce unnecessary discomfort. Its upper is made of nubuck for style and long-lasting use.